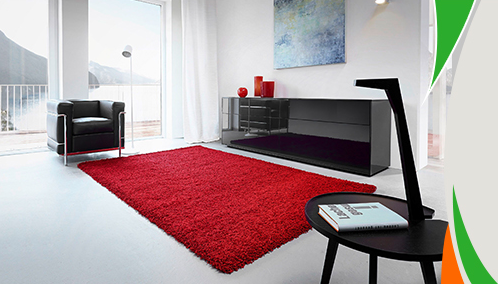 You can create a whole innovative look for your home by buying the type of rug according to your space and interior. They will not only protect your hard flooring but will also unify the decor in a room. In this section, you will find different rugs categorised according to the variety of style and design. Whether that’s funky rugs, fluffy rugs, handmade rugs, shaggy rugs, wool rugs, floral or geometric rugs we stock an extensive assortment of designs. We don’t just offer a variety on design but also in shapes and sizes too, whether it’s square rugs, small rugs, round or oval rugs we stock them and in all the current trending colours too. By combining and coordinating your home interior with a stylish or traditional rug it will genuinely kindle the area like never before. Rugs have been used for millennia. Not only designed by a group of traditional weavers, but they are also made with the help of textile machines. Inspired by Persian and oriental designs the materials used to manufacture these carpets include both natural and synthetic fibres, such as wool, polyester and acrylic. Our rugs are specifically created to suit any room and its theme, whether they are for adding splendour and style to your living room, a vintage rug to a bedroom or children’s rugs for a playroom . You’ll find your perfect rug from our website!